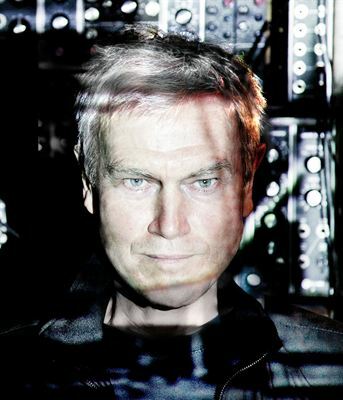 Post-punk electronic music pioneer, John Foxx, will head underground in York’s Cold War Bunker next week (Monday 9 May) in the latest free event for local people – a synthesised music reflection on the EM Forster short story ‘The Machine Stops’ – before heading to the stage of the newly refurbished Theatre Royal for a Q&A session. John Foxx will be joined by fellow electro-pop pioneer, Benge, for the performances in which they will perform music from the forthcoming Pilot Theatre interpretation of The Machine Stops. In the highly atmospheric setting of the York Cold War Bunker in Acomb – which reflects the ‘cells’ inhabited by the characters in the play – small groups will hear the compositions performed live in the control room, whilst propaganda images inspired by the story are projected onto the walls. Both the tours and the Q&A session are free to attend, although few places remain available for the York Cold War Bunker visit. Visitors can book their places for both the tours and the theatre session at www.vespertineyork.com. Bunker visits last around 20-30 minutes each and run from 6.00pm until 8.00pm, when the musicians will be whisked off to York Theatre Royal for the Q&A session. This event is the tenth free event organised by the Vespertine team, who have been creating unexpected artistic encounters around the city for the last year. Future events include a special showing of The Ladykillers at the National Railway Museum on 22 June and a special walking tour of York on Wednesday 27 July which combines fact with fiction to explore different possible historic uses for Clifford’s Tower, Baille Hill and Bitchdaughter Tower. John Foxx is a musician and artist, perhaps best known for being the original lead singer of Ultravox from 1976-79, and most recently for touring with his band, John Foxx And The Maths. “Ultravox: The Island Years” 4 CD set and his own CD, “21stCentury: A Man, A Woman and A City”, which includes collaborations with Gary Numan, OMD and Gazelle Twin are both released on 20 May 2016. Vespertine comes from the Latin word vesper which means evening. Vespertine is a term used in the life sciences to indicate something of, relating to, or occurring in the evening, for example a vespertine flower is one that opens or blooms in the evening. York’s Vespertine project was set up as a join initiative between partners around York, including City of York Council and Make It York, spearheaded by York Archaeological Trust. It received £99,995 funding from Arts Council England and £30,000 from City of York Council, which was match funded by contributions from cultural partners. All of the events are free, and are designed to fill a gap between the end of the working day and the start of York’s evening hospitality and entertainment. Based in York, UK, the JORVIK Group of Attractions comprises:JORVIK Viking CentreDIGBarley HallThe Richard III Experience at Monk BarThe Henry VII Experience at Micklegate Bar The JORVIK Group also organises the annual JORVIK Viking Festival each February in York, and the Yorkshire Medieval Festival in August.